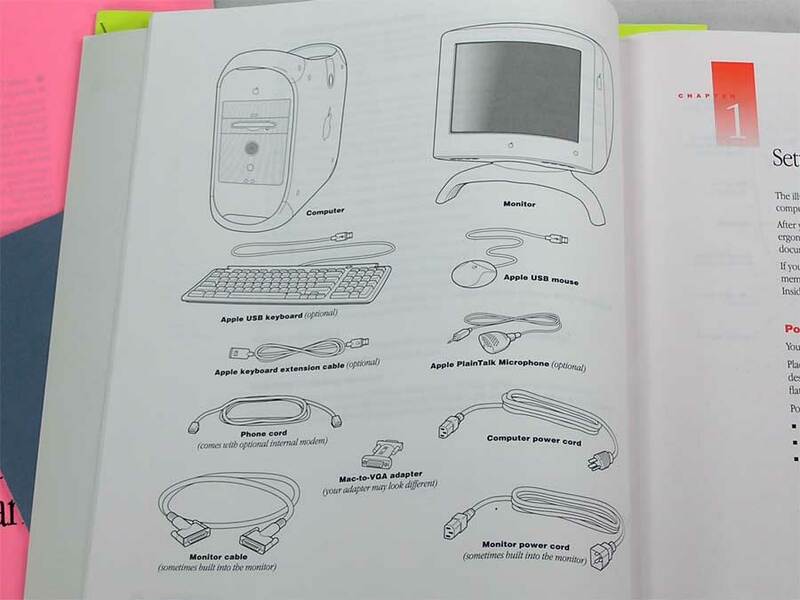 Apple 600-8821-A Lockable Cable Fastener. I believe this to have come from the G4 era, but can be used with any cabled accessories such as keyboards, mice, speakers, etc. 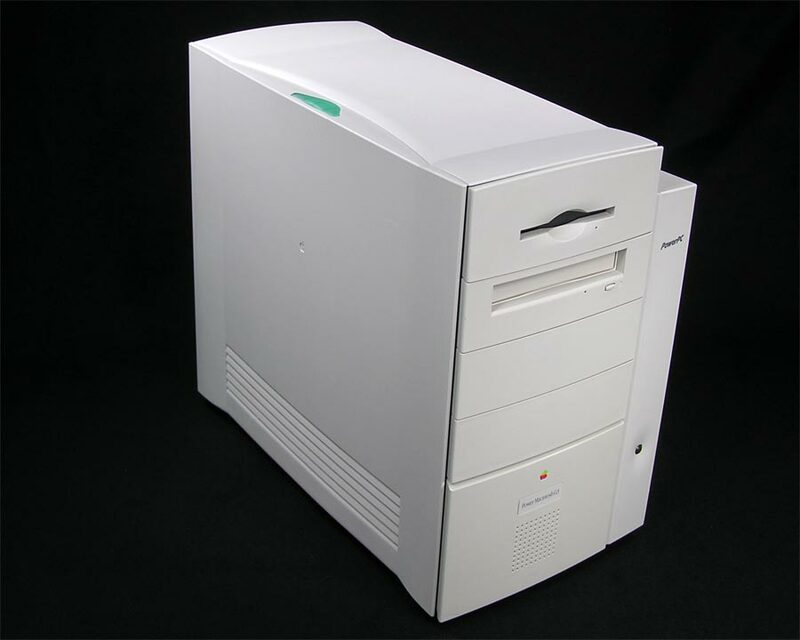 Apple 591-0075. 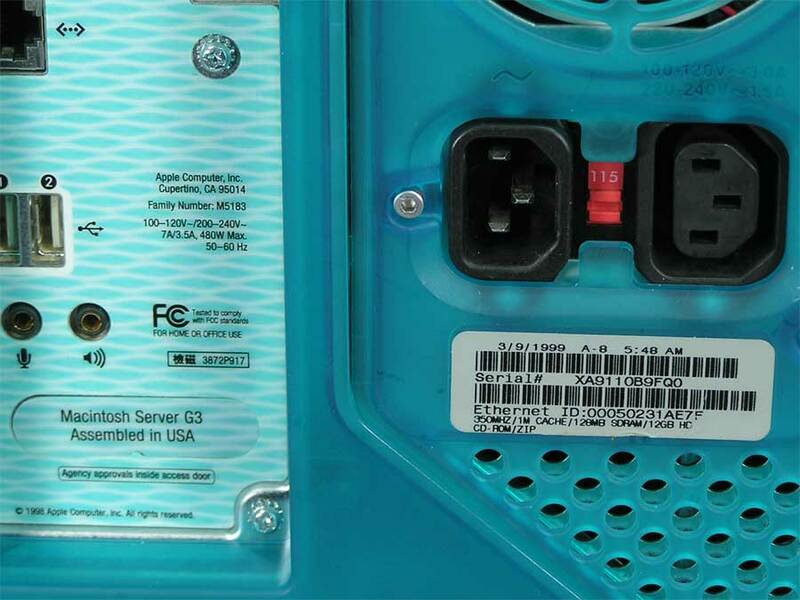 Modem Cable from the G4 era, but should will work with any modem using a RJ-11 (telephone cable) port. 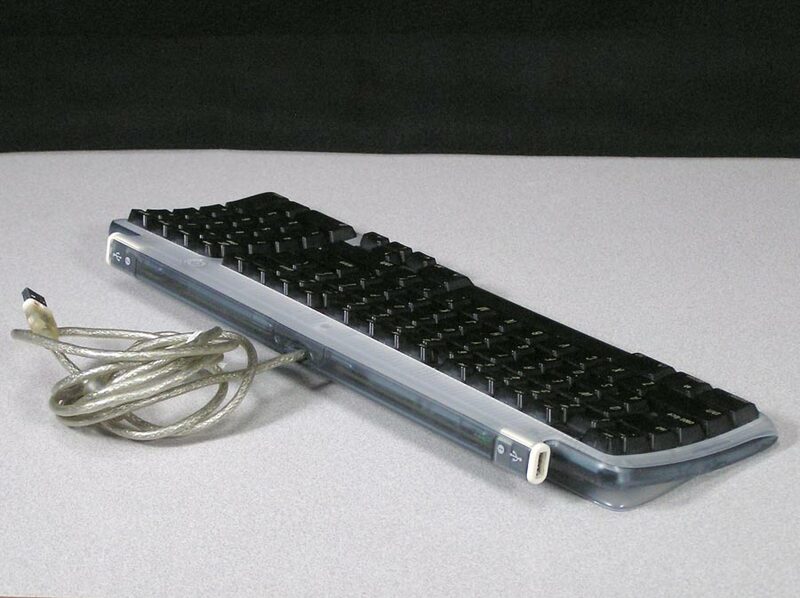 Apple USB Keyboard M2452. 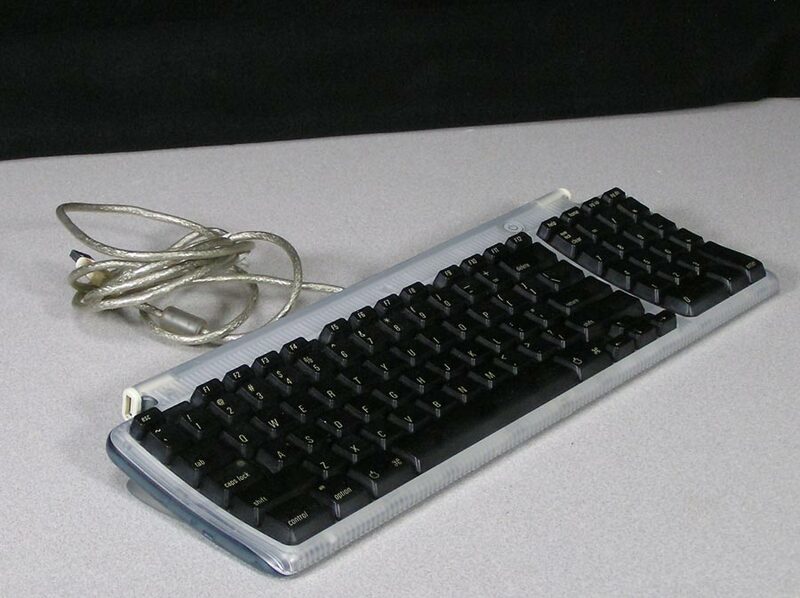 Shipped with the original iMacs, these keyboards are the first Apple USB keyboards and the last to have a computer power button. They came in colors to match the G3 iMac cases. This will work with any Mac with a USB port. This Graphite colored one has an extra long USB cable, so I suspect it has been replaced. Looks and works great! Apple USB Mouse M4848. Shipped with the original iMacs, this is the first Apple USB mouse… and it is round. They came in colors to match the G3 iMac cases. This Blueberry colored looks and works great! 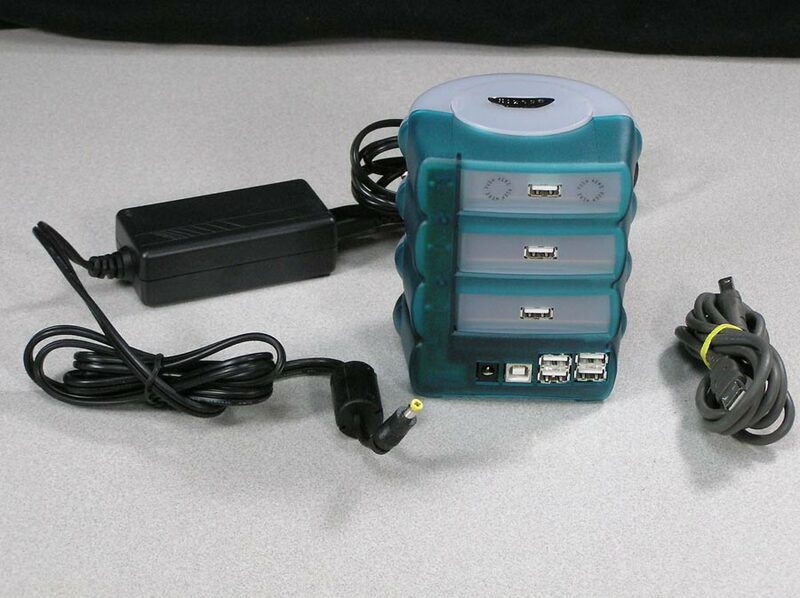 Made to match the iMac fruit colors, this powered, 4 port hub may be just what you need. Comes with power adapter and USB cable. I just have one User Manual, so it will go with the first one sold. 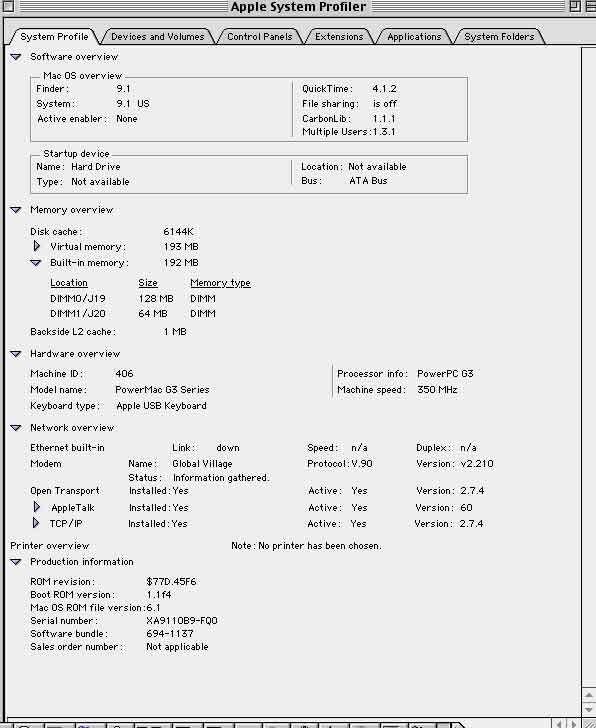 For iMac Slot Load, iMac DV, iMac Special Edition. Not sure if these will interchange with 00 and 01 models. Only the speakers are left – Graphite or Blueberry! Select below. 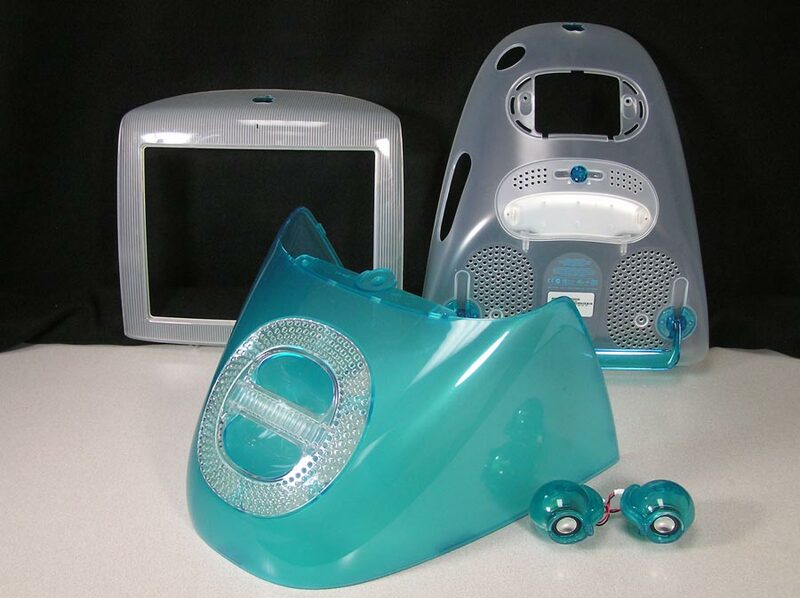 Sold as pieces or as a complete set – Front, top, bottom housings and even matching speakers! 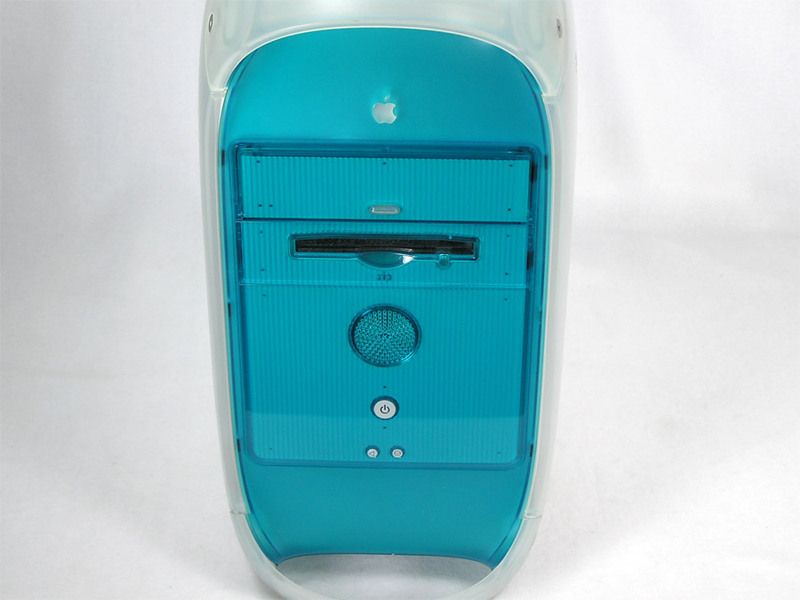 The Blueberry is in excellent condition and would sure add some sparkle to your iMac. 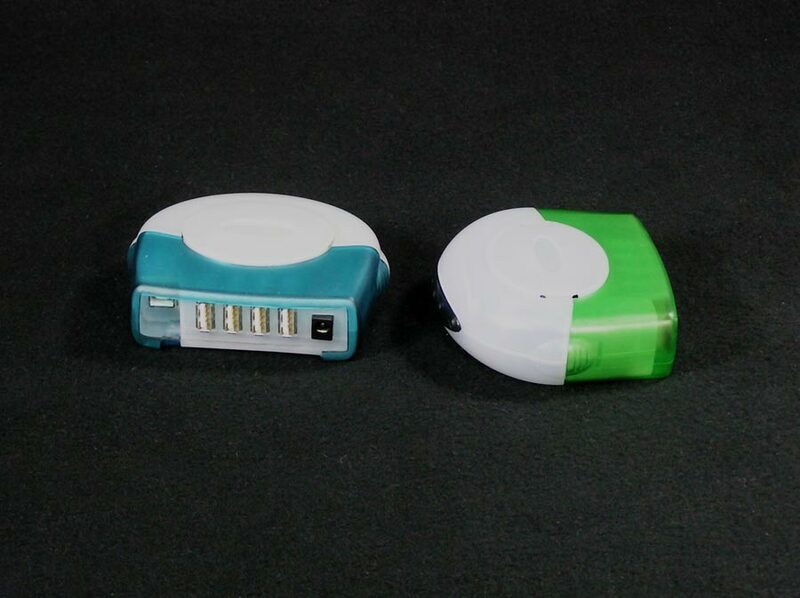 The Graphite case has been sold, but the speakers are available. Please Contact me with your City, State and Zip Code for a shipping quote. These are light pieces, but dimensional weight applies and can make the billable weight 19 lbs or more. Apple part number 922-3887. 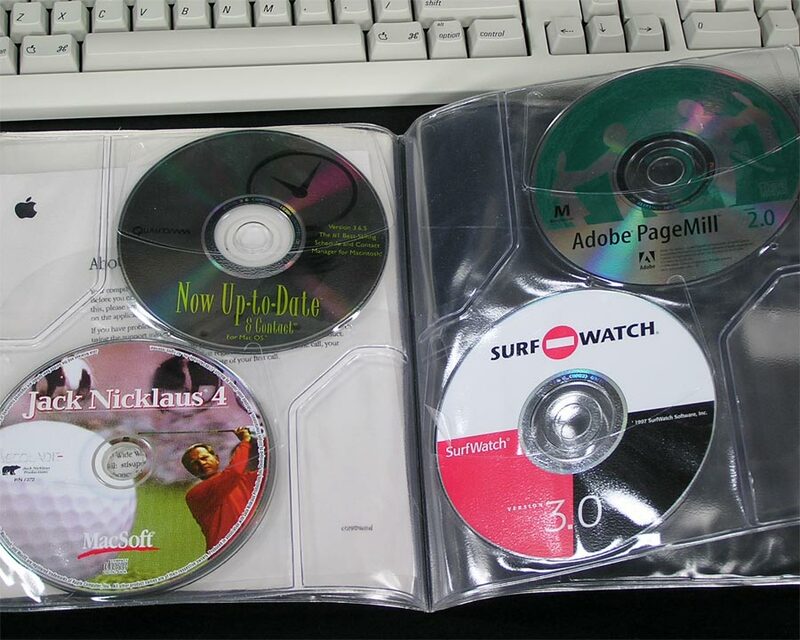 Slot load, DV, DV SE, Summer 2000, Early and Summer 2001. 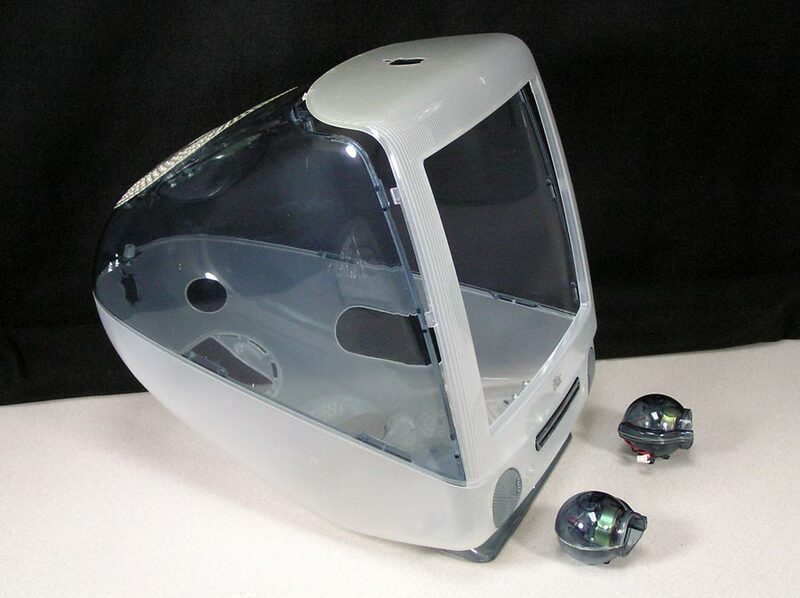 EMI Cover for the iMac G3. 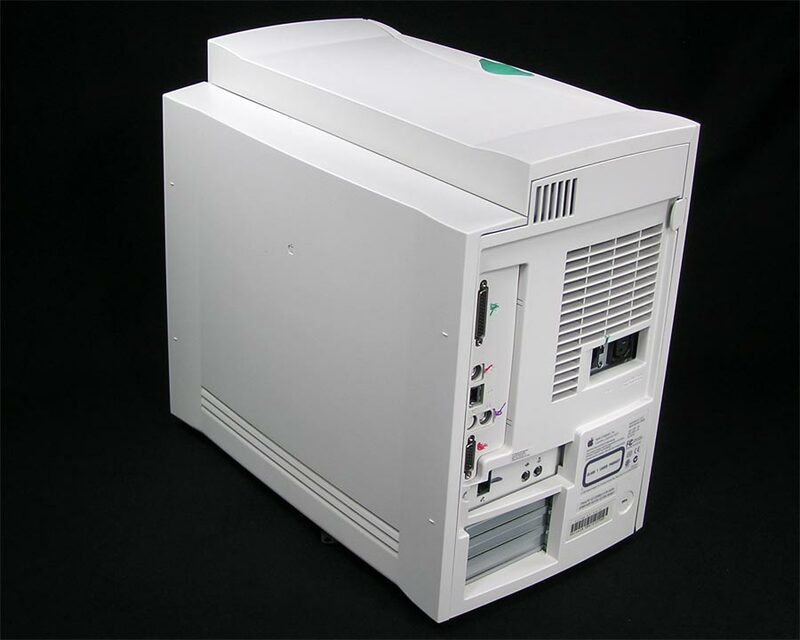 Will fit all slot load iMacs, 350 to 700 MHz with VGA output port. I even found one without the vga opening at all! Leave a note on the checkout page if that is the one that you want, otherwise the one as pictured will be shipped. Apple 922-4029. 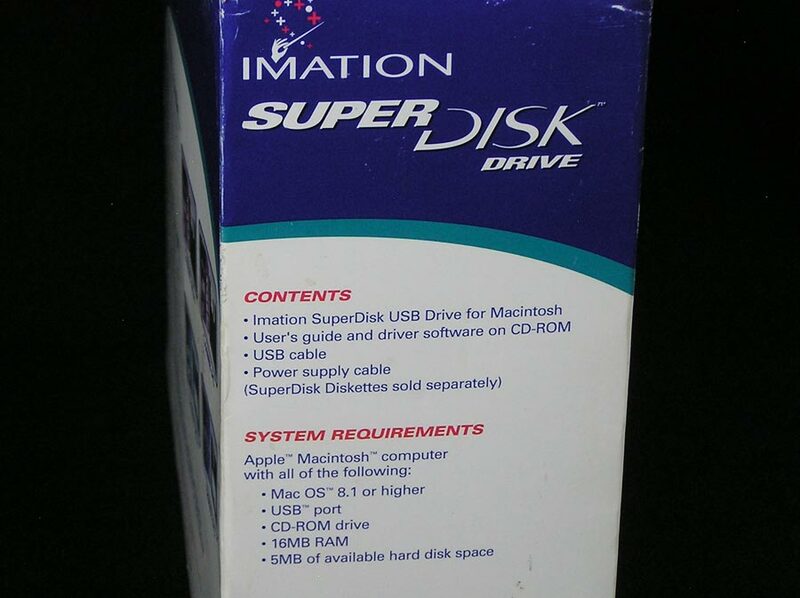 For all slot loading G3 iMacs through 2001. 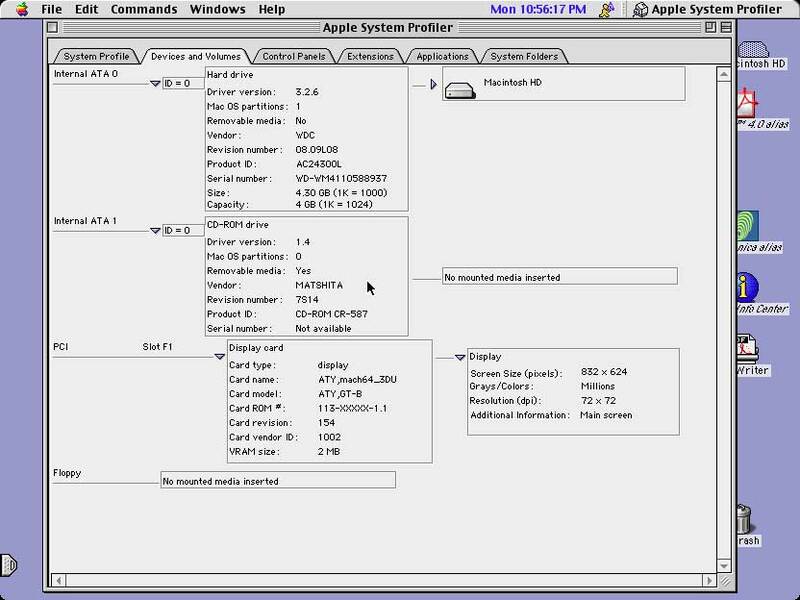 Cable connects to the logic board, hard drive and CD/DVD/CD-RW drive. 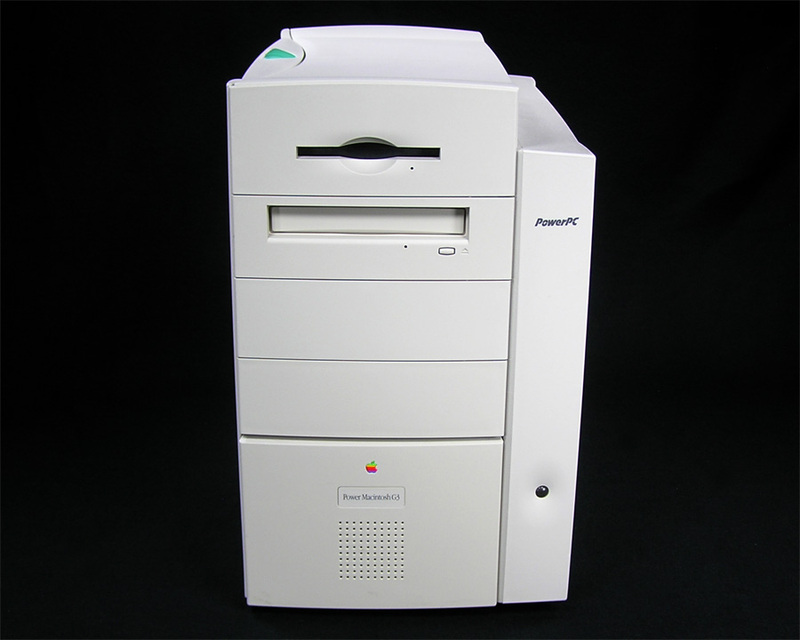 Apple 922-4040. 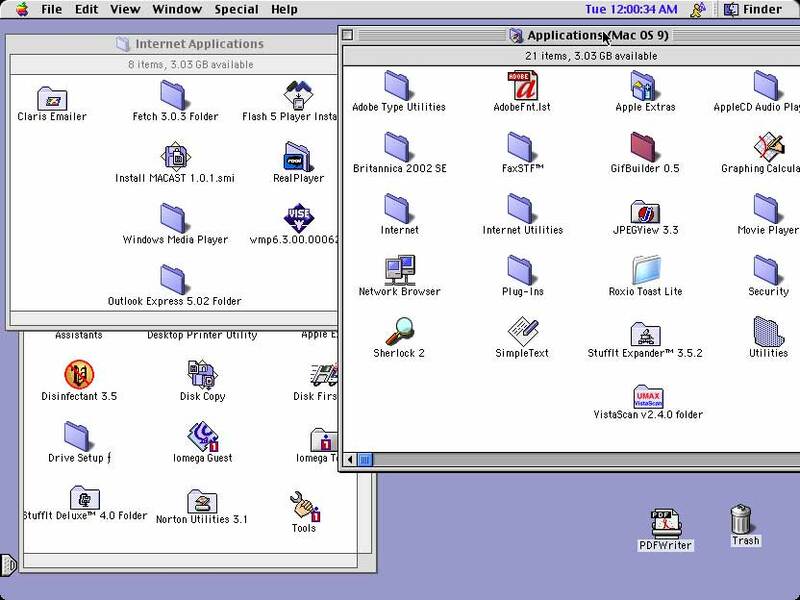 For all Slot Loading G3 iMacs through 2001. 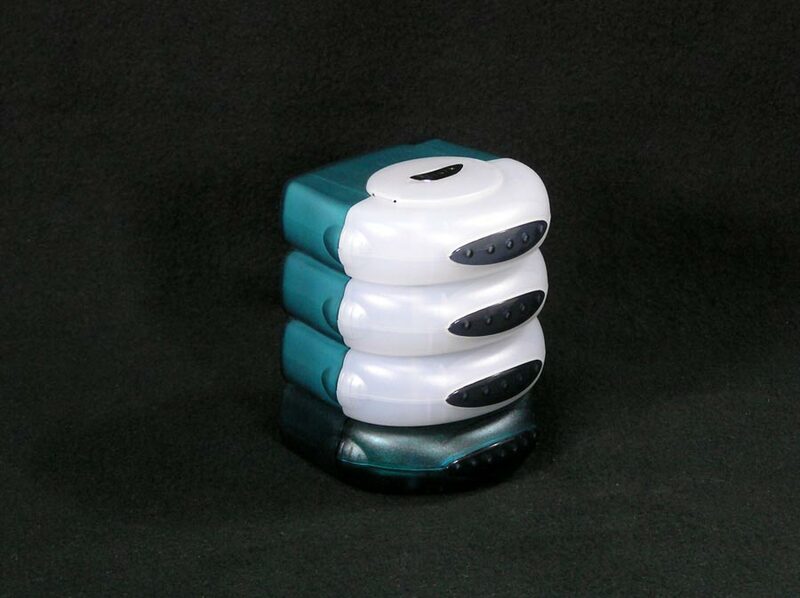 Hard Drive, CD, CD-RW, DVD Carrier. 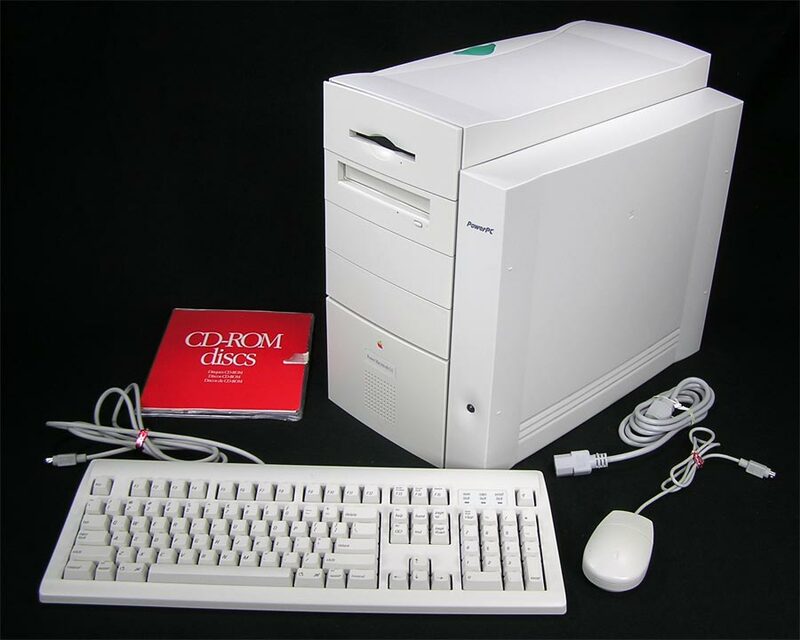 Apple 922-4030. 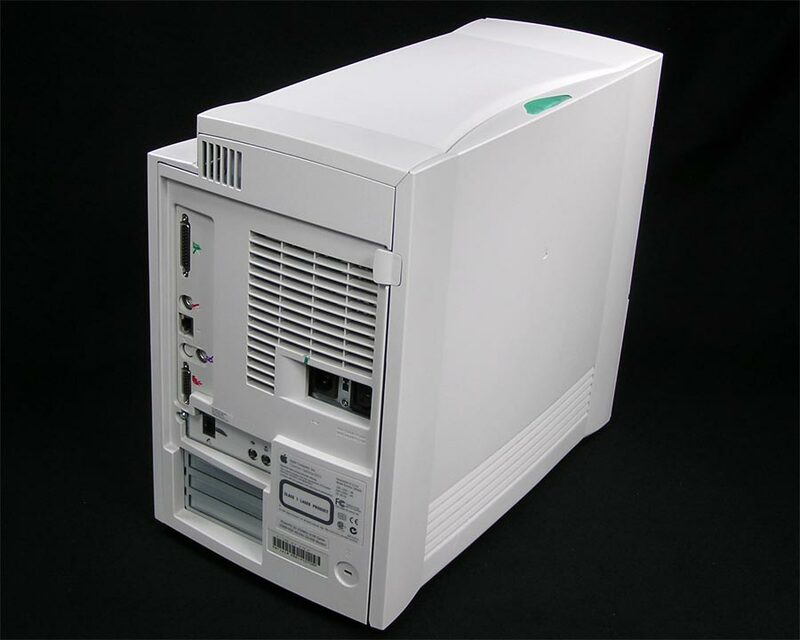 For all slot loading G3 iMacs through 2001. Hard drive power cable. Logic or Main board, Down Converter, modem, I/O panel. Plug and play, just add your own RAM and Airport card. 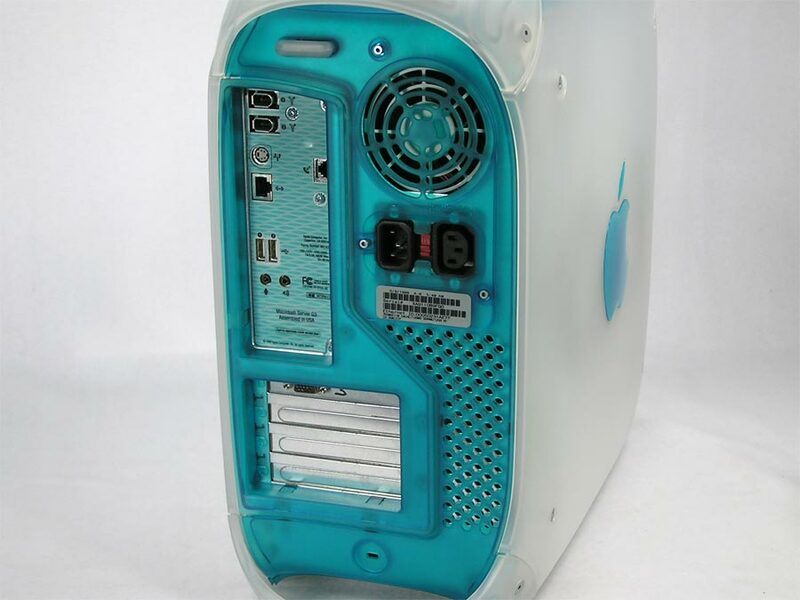 1) Apple 661-2210, 661-2317, marked 820-1096-A Version 2. iMac G3 Slot loading 350Mhz. No daughter board. 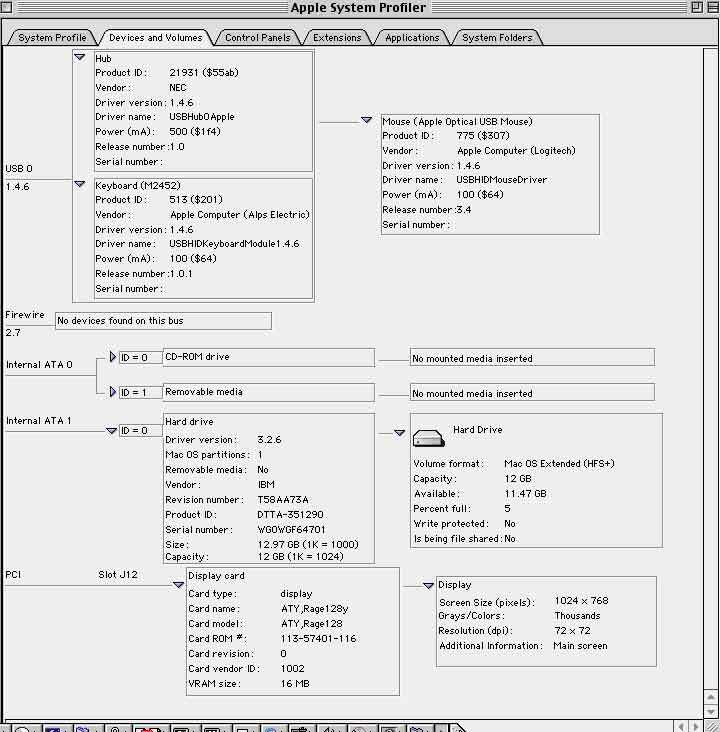 VLSI chip ends in -01. No firewire on this model. 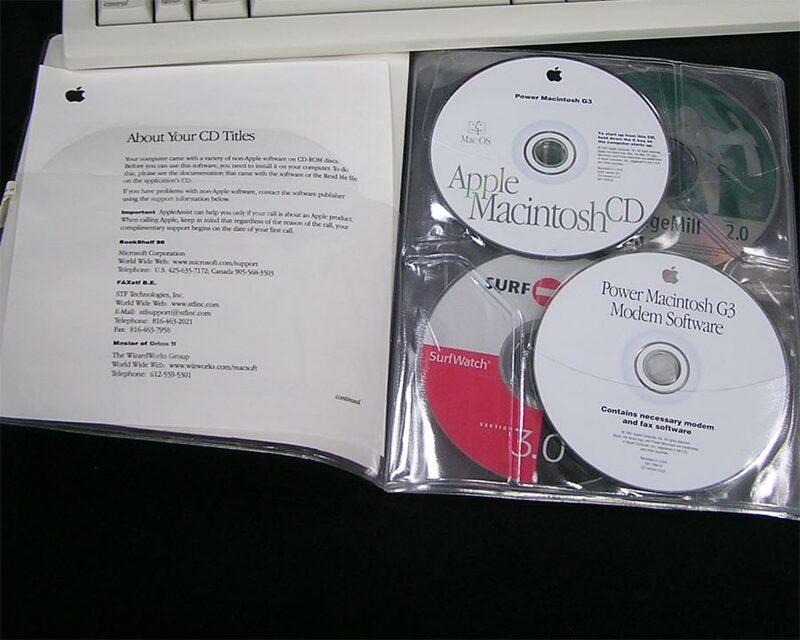 3) Apple 661-2374, marked 820-1131-A. 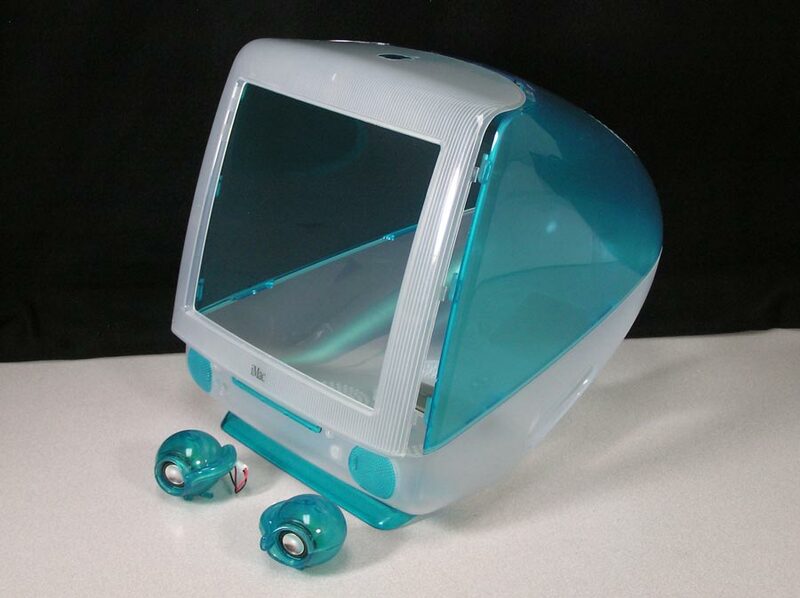 iMac G3 350Mhz. Summer 2000. No firewire on this model. 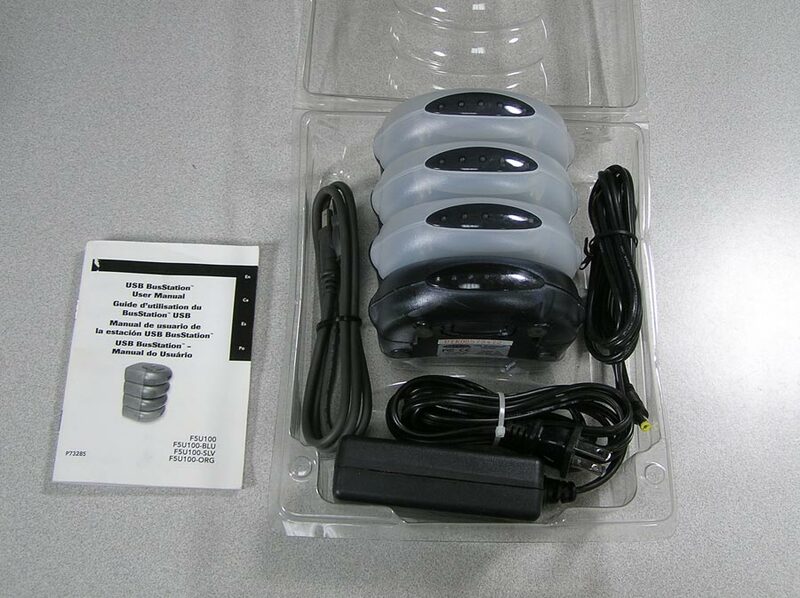 Kensington Orbit USB Trackball for Mac, Model 64224. 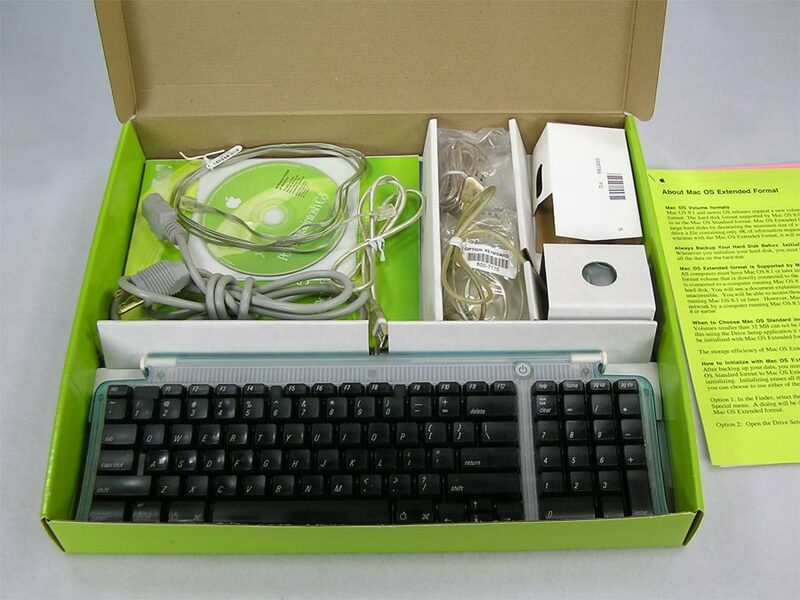 This nice looking and working trackball features a comfortable shape with two “Bondi or Blueberry” colored buttons and ball for navigation easily worked with your fingertips. It has been disassembled and cleaned. Working and used to navigate and post it’s own ad! 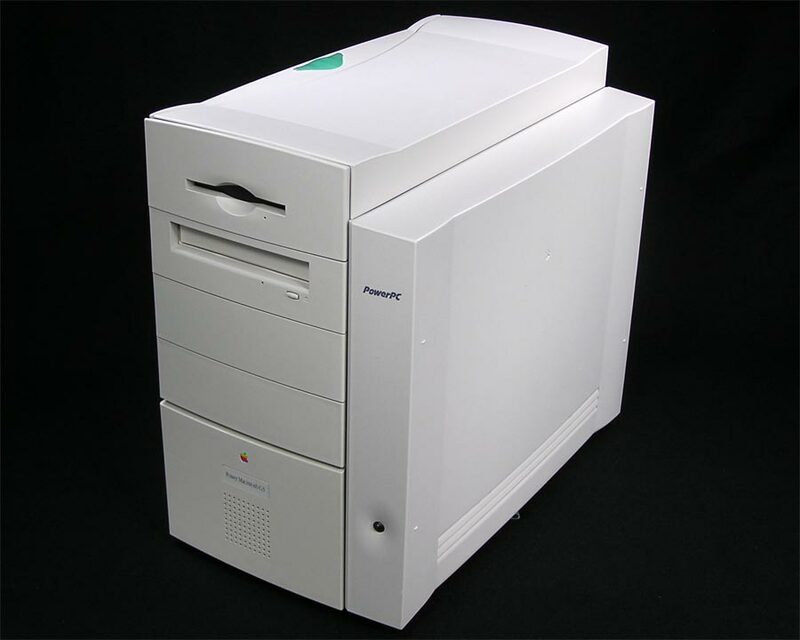 Apple Macintosh Server G3, M5183, M6657LL/A. 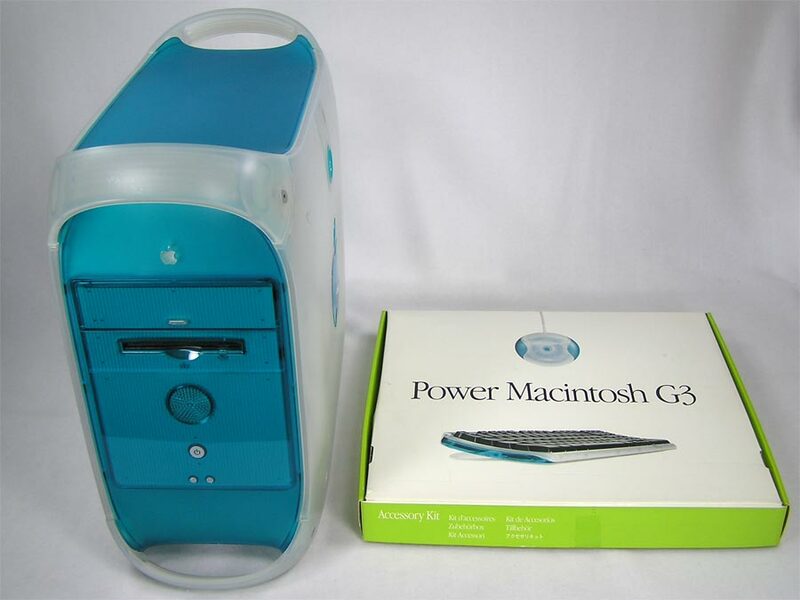 The Power Mac G3, known as the Blue and White model. was introduced in 1999. 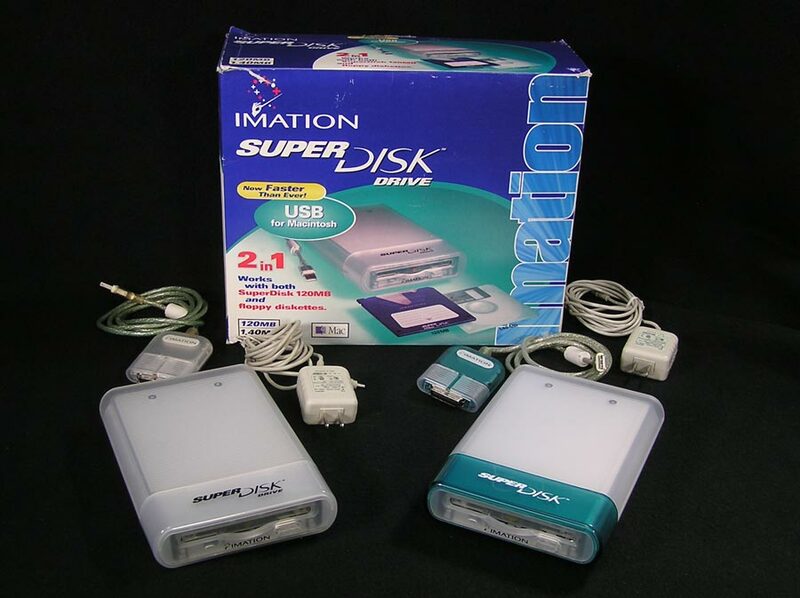 The server models often had faster hard drives and came with server software. This computer comes from the original owner. 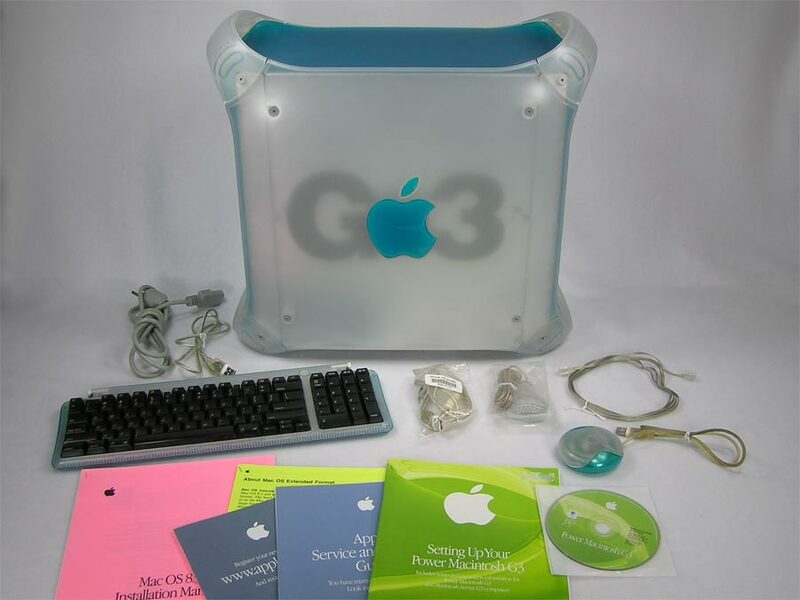 Included is the original Power Macintosh G3 accessories box containing the keyboard, keyboard extension cable, mouse, microphone, modem cable, manuals and Software Install or Restore CD (OS 8.5.1). 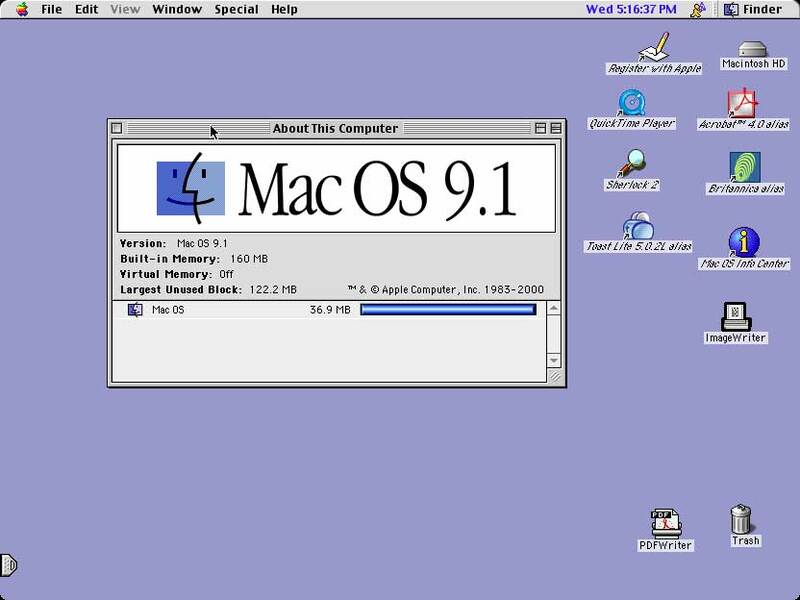 Mac OS 9.1 has been newly installed. The monitor that was purchased with this G3 is here. It is the one with all the goodies. 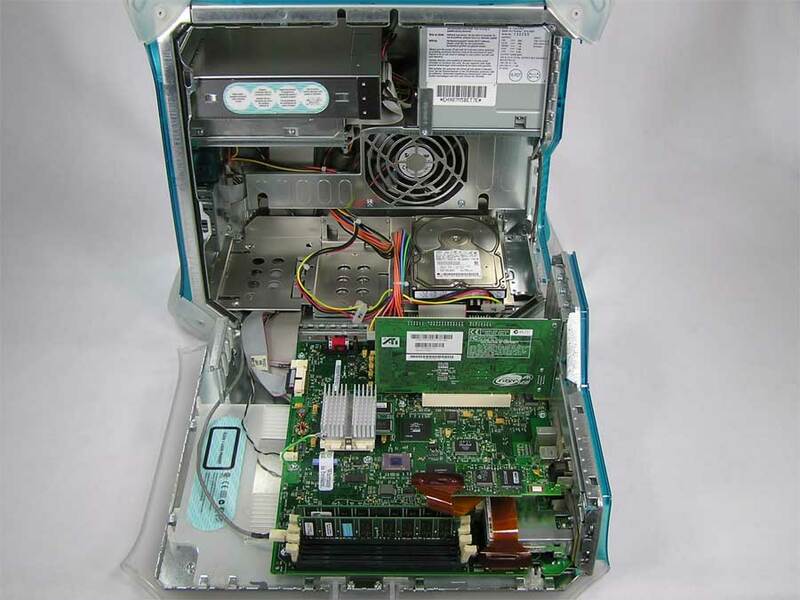 Processor is in a ZIF socket, so is upgradable to a G4. The G3 has some scuffs and scratches, most noticeable on the Apple on the side with the door. 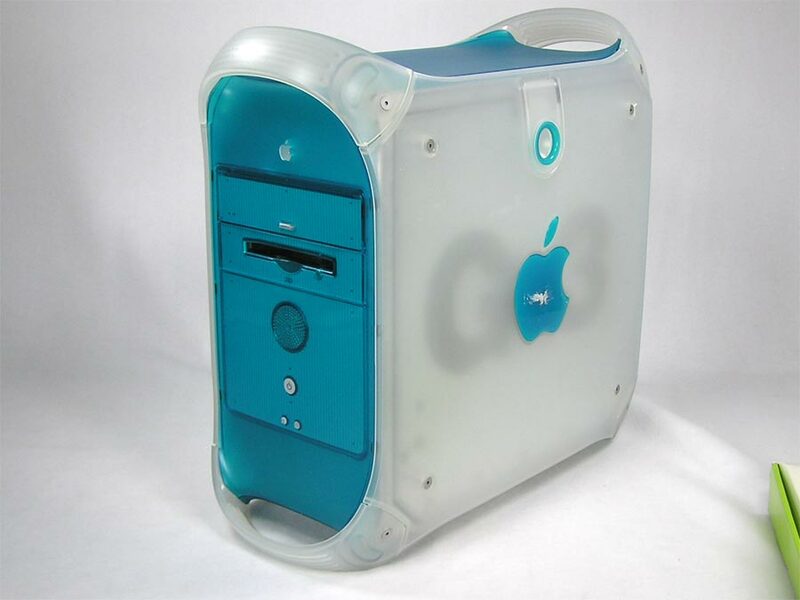 Translucent Vented Cover for iMac G3. 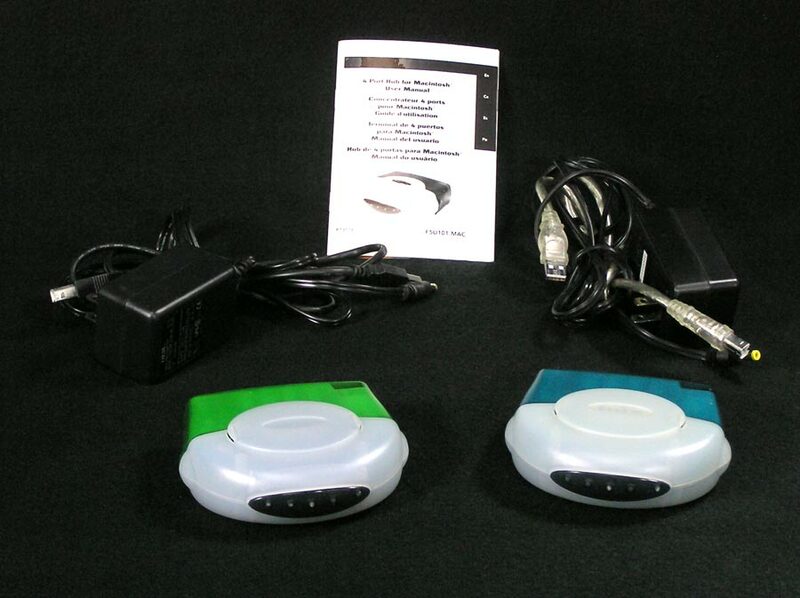 Choose below for one with or without an opening for the external VGA port. 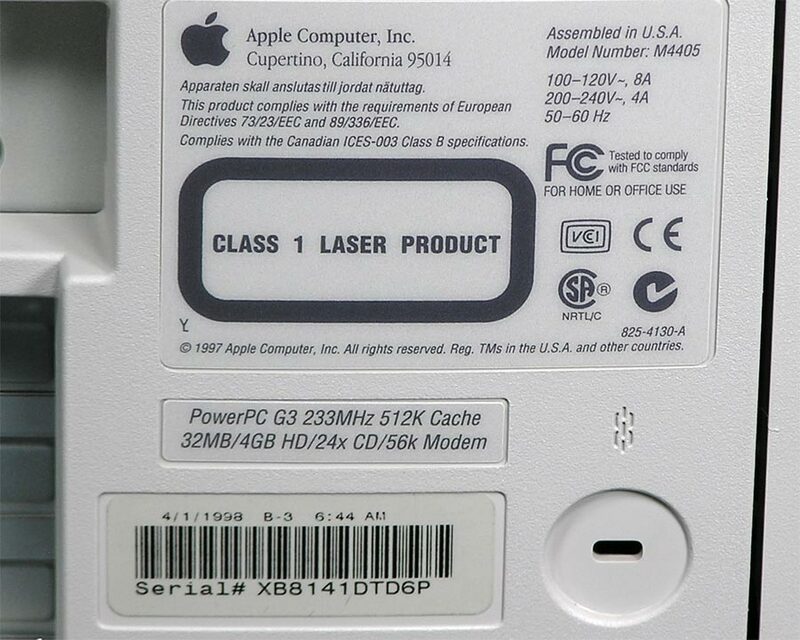 Apple 922-3886, 922-3933, 922-4315, 922-4280, 620-1613-C. Part numbers indicate a difference between the slot load 350/400 Ghz models and the 2000 to 2001 models, but I have found that they are interchangeable.